Nokia launched a new Lumia series mobile called Nokia Lumia 520 in India. This is the most affordable and cheapest phone in Lumia series because the price is Rs. 10500 only. The phone runs on Microsoft Windows 8 Mobile operating system. It comes with 4-inch sensitive IPS display with resolution of 800x480 pixels. Lumia 520 powered by 1 GHz Snapdragon Dual Core processor and it has only 512 MB RAM. It equipped with 5 MP rear camera that supports auto focus and HD video recording options. It has 8 GB of internal memory and you can extend the memory up to 64 GB using microSD cards. And you can get 7 GB of free SkyDrive online space for every new phone. 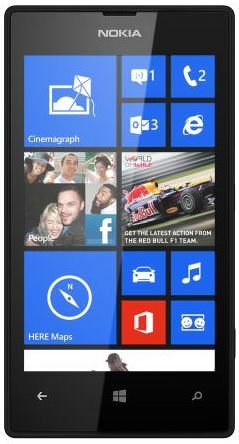 Nokia Lumia 520 will hit the stores and available on early April 2013 or within this week. Lumia 520 is priced at low cost of Rs. 10499 only. You can pre-order for Lumia 520 on FlipKart online store. The Phone comes in five attractive colors such as Red, White, Black, Cyan and Yellow. Alongside this phone, Nokia Lumia 720 phone is also launched in Indian market that will be available from middle of April 2013.
which is best mobile os Android or Windows. pl explain.